@Ruth, I don't think it has a chance in a major categories but the nomination alone will encourage people to watch. @bob I'm surprised Gravity isn't in the discussion. My personal top five films are all represented, so I'm happy! Re Rachel's comment about 12 Years. Everyone last year thought, at least in the early goings, that Lincoln would win but... it didn't. Could 12 Years face the same danger of being an early favourite that won't come through in the end. Or does it really have a lock? I think 12 YEARS A SLAVE's single award win at The Globes could lead people to think that. Paul, I'm upset Tom Hanks didn't get recognized for Captain Phillips. I'd switch out Leo for him. What do you think? Thanks for chatting with us, Pete from Oneonta. Panel, what do you think? I have a theory about awards-show voting, and movies in general: people don't like to be uncomfortable. So if they can root for a "serious" movie that also doesn't make them uncomfortable, they will lean towards that. That is, I think, where Hustle does so well. And where The Butler, Fruitvale, 12 Years A Slave hits some resistance. Also AH doesn't have the same inertia Argo did. Hanks' authenticity in that role is stunning, I would definitely include him. But I wouldn't swap out Leo, I'm swap out Bale. I'd swap out Bale's hairline. I'D swap out Bale. Sorry, I can't type or do anything properly when I think of the awesome power of THE WOLF OF WALL STREET. I have to say that I'm grossed out by the real Jordan Belfort being so closely involved with Wolf of Wall Street. Rachel, would you then only give awards to sympathetic characters? Only fictional bad guys (and gals)? I didn't like that film as much as, it appears, you all did. Scorsese has already done that better. It's probably Leo's best performance from him though. This is not a direct swipe at sklarra, but I continue to be shocked in general at the moral high ground argument against THE WOLF OF WALL STREET. 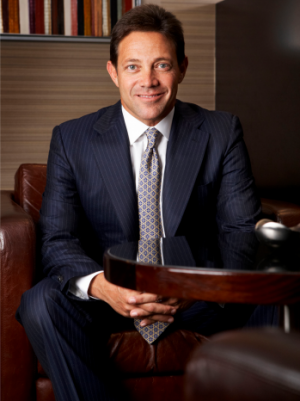 The Hollywood ReporterJustice Department officials are targeting money paid to Jordan Belfort in connection to The Wolf of Wall Street. Unsealed documents filed in October in the 15-year-old criminal prosecution of the former stockbroker, played by Leonardo DiCaprio in the Martin Scorsese film, detail exactly what was earned by Belfort in selling rights to the film. Got it, Rachel. I had heard of that, but did not realize it was so pernicious. What about the Best Actress category? Any thoughts? I was also disappointed by both Jared Leto and Matthew McConaghey winning for Dallas Buyer's Club but not invoking the actual story they were telling in their wins. Alicia Menendez at Fusion had a great op-ed on that. 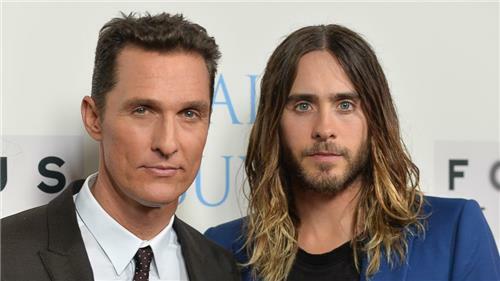 FusionActors Jared Leto and Matthew McConaughey missed an opportunity to bring awareness to HIV/AIDS during their Golden Globes acceptance speech. They'll have a second chance at the Oscars if they win. @bob We get older, he stays the saaaaaame age. What Blanchett is doing in that movie is just beyond everything. It's enough to make actresses across the country just give up. @Ruth Best Actress is all about Cate Blanchett in Blue Jasmine. She's like a whirlwind, crashing elegantly through Allen's film and swooping up all the pre-cursor awards. Leto shouted out his character at the end but I think everyone was distracted by his hair and his Brazilian. Thanks for chatting, Logan. Panel....is Cate it this year? Or, put it this way...who is Cate's biggest threat in this category? And again, no Emma Thompson was a bit of a shock. I thought she was a SHOO-IN. Cate Blanchett is fantastic. It's worth noting that all the actresses are over 40, with the exception of Amy Adams, who is 39. Bullock deserves it? Bob, did you see Blue Jasmine? I would think that Cate's biggest threat is Streep. Or Adams. I think Bullock and Streep are threats, 'cause, like HUSTLE and WOLF threatening 12 YEARS A SLAVE, Sandy and Meryl come with Oscar cred. Hey it's an honor just to be nominated, as Oprah would say, if she had been nominated. Oprah was great at playing Oprah in that movie.